Rubinoff Concert Review of the 1930’s. The short article below, at the Ted Lewis Museum, offers some reasons why Rubinoff was so popular with the public. I do not have its exact date. It is from the Depression era of the 1930’s. First, he was primarily popular because he brought melodic and beautiful music to America when the country needed it the most. The public rewarded him. He made as much as $500,000.00 annually. Joseph Rubin is the curator of the Ted Lewis Museum. I found this abbreviated article below on Joseph’s museum website. Dave was a matinee idol in the 1930’s. What is the Ted Lewis Museum about? First, and most important me, Joseph brought me to Circleville for a Rubinoff commemoration concert this last June 2, 2018. It also was sponsored by the Ted Lewis Museum. I got a chance to perform the works I arranged with Rubinoff live with concert violinist, Steven Greenman. The museum is located in “the Capital of the World,” Circleville, Ohio. 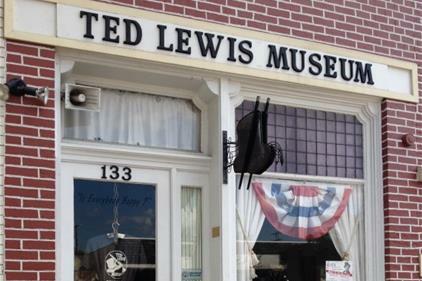 The Ted Lewis Museum attracts thousands of visitors of all ages. They come from nearby and around the world. Educational Outreach programs are offered free of charge to Pickaway County schools. These programs bring the history and music of Ted Lewis to life. For schools and students, it featurs a 5-piece jazz band. Scholarships are annually offered to graduating Pickaway County high school seniors planning to pursue a degree in Music or the Performing Arts. With your support, the Museum will continue to offer free admission to all visitors and expose a new generation to the timeless music of Ted Lewis and the greats of a by gone great American era. The Ted Lewis Museum, Inc. is a 501(c)(3) tax exempt organization. All donations are tax-deductible to the extent allowed by law. All donors will be listed in the Ted Lewis Museum event programs. They will also receive the Ted Lewis Museum Newsletter in the mail and VIP seating at events. For the record, John Philip Sousa set Rubinoff on the school concert road. The article mentions Dave was a protege of the late Victor Herbert. – I, Dave Ohrenstein, worked for 15 years with Rubinoff. He employed me as both an arranger and a piano accompanist. Dave had a genius for publicity stunts and gags. In the featured picture Jimmy Durante playing Dave’s violin. Dave Rubinoff, as part of the gag, is at the piano. Rubinoff concert review explains how he brought joy to so many. I worked for 15 years with Rubinoff. Here he is pictured with Sousa. Sousa encouraged and helped Rubinoff to give of his violin playing talent to the American public schools. Below is a link to my own website. Check it out. Musical events are upcoming. Many posts are about Rubinoff. Click on all posts. Archiving an Unknown Great Violinist- by youtube. The featured picture presents a great violinist to modern America: Many have never heard of Rubinoff and his Violin. This will change. I promise. He chummed around with top, musical artists from the turn of the 20th century. For openers, Victor Herbert personally brought him, with his family, to America. By co-incidence, he heard Rubinoff play his graduation recital at the Warsaw Conservatory. Herbert said: “Son, you belong to America.” Herbert was then the conductor of the Pittsburgh Symphony Orchestra. John Philip Sousa met him at one of Herbert’s parties. On the lecture link below is a picture of the American March King with Rubinoff. He arranged for him to play for children all over America. For this purpose, Sousa got a special grant from the United States State Department. Dave Rubinoff then took his fabulous music to the public schools. He blessed children of America with great music for the rest of his live. Often the schools where he played were in remote, rustic settings. However, these lucky youngsters had the pleasure and benefit of great music. So how do I tie into the Rubinoff Archiving Scene? The story of how this happened is almost beyond belief. The key person was museum curator- Maestro Joseph Rubin. He oversees the Ted Lewis Big Band Museum in Circleville, Ohio. This outstanding personage had read some of my Rubinoff posts on my website: DSOworks.com. The museum was sponsoring a Rubinoff concert. Main stage was a 28-piece orchestra. It was comprised of the finest professors of music from leading Ohio universities. I was asked to participate both as a lecturer and performer. The reason: I both arranged and accompanied Dave for some 15 years. My incredible daughter, Kathryn, assembled an extremely important piece of American musicana for youtube. She posted it after countless hours of hard work. It features Americana pictures never published before. Beautiful music is about to make a major comeback. Below is a second youtube sample. 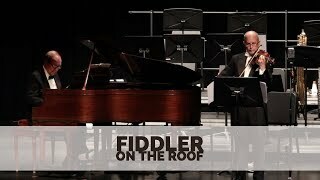 Maestro Steven Greenman and I perform the Rubinoff/Ohrenstein arrangement of Fiddler on the Roof. So: Sit down. Relax. Enjoy yourself. Have a Rubinoff youtube slug-fest. Please share this with everyone. Help good, solid,enjoyable, and melodic music make a comeback. Violinist Steven Greenman and pianist David Ohrenstein in concert. Sacred Engineers Philosophy was written Oquaga Lake. It is located in New York’s Catskill Mountains. Many people authored books with the background of mountains in New York. Washington Irving was among them. He wrote The Legend of Sleepy Hollow. Washington Irving (April 3, 1783 – November 28, 1859) was an American short story writer, essayist, biographer, historian, and diplomat of the early 19th century. Irving is best known for his short stories “Rip Van Winkle” (1819). He also wrote “The Legend of Sleepy Hollow” (1820). Both of appear in his collection, The Sketch Book of Geoffrey Crayon, Gent. “Sleepy Hollow,” by Will Moses, on view at Sunnyside, Washington Irving’s former home. My life was sent in an unexpected direction in the summer of 1994. The location was in New York’s Catskill Mountains. The resort was Scott’s Oquaga Lake House. I was “the house piano player.” Isn’t this slightly reminiscent of Scott Joplin’s type employment? But, it is not that kind of house. Rather, I accompanied various shows that came to the resort. Also, my wife and I did our own show. Lots of Broadway, of course. I experienced sudden enlightenment at the resort. It happened in a flash. In the spirit of The Legend of Sleepy Hollow a voice told me: “Look at the 3 x 3 number square more closely.” Suddenly, the dividing bars disappeared. I began reading the numbers in polarities. The polarities were also in groupings of two and three opposing numbers. For example 49 + 61 = 110. Or 492 + 618 = 1110. I then found the numbers behind the measurements of countless ancient structures. Most prominent was the Great Pyramid. See if you can find the number 440 in this manner. Each side of the of Great Pyramid is 440 cubits. I wrote the Sacred Engineers Philosophy as a result. Some countries still tune their musical instruments to A 440. If you can’t find it, look up posts on the Great Pyramid on DSOworks.com. You can find the answer. This was known as the number square of engineers. Monstrous Pianos Replace Early Keyboard Instruments. The title of this blog poses a basic questions: How does a pianist interpret the music of composers who lived before 1850? Or, expressed another way: How do we stay true to the intentions of composers who lived in this time period? In part this will be answered by the desciption of a concert I gave as pianist for a world renowned violinist. First, how does a harpsichord produce sound? A harpsichord is a musical instrument played by means of a keyboard which activates a row of levers that in turn trigger a mechanism that plucks one or more strings with a small plectrum. The harpsichord can produce a specific louder sound. This happens when a coupler joins each key to both manuals of a two-manual harpsichord. However, it offers no dynamic or accent-based expressive control over each note. How does a modern piano produce its sound? By strings being struck by the action of hammers. Loudness of every tone can controlled by the fingers hitting the keys that activate the hammers. The more force you employ, the louder the sound. The tones produced can be blended and amplified by a foot pedal. However, here is the primary pitfall: Unless the pianist is incredibly precise in hitting notes exactly together, the piano pedal merely amplifies his imprecision. 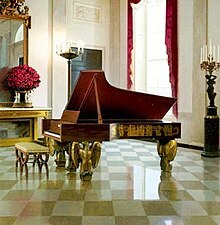 I worked for 15 years with a violinist whose accompanists used the pictured piano above. My capacity was as his arranger and accompanist. His stage name was Rubinoff and His Violin. He played for 5 American Presidents. I’ve played for only two up to this point. I just commemorated his memory in a concert at Circleville, Ohio this last June 2, 2018. In the 1930’s Dave made as much as $500,000.00 annually as violinist and conductor. For my own last concert, Maestro Steve Greenman was the featured violinist. Joseph Rubin is the curator of the Ted Lewis Museum. He also conducted the orchestra. As mentioned in the poster, I also gave a featured lecture about our working relationship. More concerts with Maestro Greenman are in the making. Announcements will be forthcoming. Myself seated at the grand. I brought the concert into the blog because Rubinoff was very specific about the touch he wanted. Rests had to be observed. His notated rests were not to be covered by a piano pedal. Often, he required a slightly detached and lighter touch, like a harpsichord. However, at times the piano had to roar- like the monstrous pianos. Hear our most rare and lost concert below. Rubinoff and I gave it in the Catskill Mountains of New York State in 1984. He was 86 years of age, As he talks to the audience, you’ll become acquainted with a great man. Also, please read the related Rubinoff blogs on DSOworks.com. You’ll see how Will Rogers helped to shape his incredible career. Dave loved the American Indians. I believe that in turn Will, who identified with the Cherokee Nation, helped him. Sequence Code of Antiquity is really quite simple. . Musical composition, especially of the Baroque era, uses the same sequence code. Baroque music (US: /bəˈroʊk/ or UK: /bəˈrɒk/) is a style of Western art music composed from approximately 1600 to 1750. Music composed in the Baroque era used a code call a sequence. It was frequently played on the Harpsichord. So where are the ancient number codes. For this we must look to the 7 popular number squares of antiquity. In these numerical arrangements we will also find the basis of the Pythagorean Theorem. This theorum uses the basic 3-4-5 triangle: The square of the hypotenuse equals the sum of the square of the shorter legs. Thus, 3² + 4² = 5². The sequence begins a process later imitated by higher numbers. For example 6² + 8² = 10². 1² + 2² = 5 (Five is at the center of the 3 x 3 number square). This number square was associated with Saturn, the giver of the Law. It certainly sets the mathematical law of number squares in motion. It also hides codes that go to infinity. 2² + 3² = 13. (Thirteen sits at the center of the 5 x 5 number square). This square was connected to Mars. 3² + 4² = 5² or 25. (Twenty -five is at the center of the 7 x 7 number square- not pictured). Three and four are also the core numbers of the Pythagorean Theorem. Twenty-five sits at the center of the 7 x 7 number square of Venus. 4² + 5² = 41 (This is the core number of the 9 x 9 number square). This number square was of the Moon. Rediscovering and understanding the use of the sequence code can spearhead a new era of peace and plenty. Writing Operas- Hassles Even for Mozart. Writing an opera is difficult. Writing an outstanding opera is more difficult. Finding a good composer/ librettist combination is rare. Raising funds for the work is is extremely difficult. Procuring a venue for a production of a new opera is a a huge task. That is why perpetual old opera war horses will continue to be the mainstay of traditional, established opera houses. Aspiring composers of opera face at least one to all of these hurdles. That certainly was true for Mozart. Mozart had the contacts. He had the admiration of wealthy royalty. His problem, at least at first, was finding a good librettist with which he could collaborate. I’m lucky enough. to own the book pictured on the right. 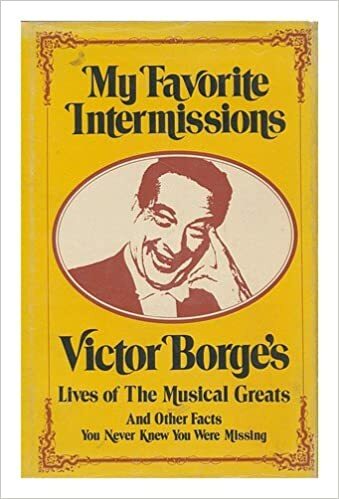 It is autographed by Victor Borge. The inspiration for this blog came from his book. Royalty in Europe fostered opera. Mozart was quite a charmer in this regard. As a young boy, he was fussed over by every emperor he met and kissed by their empress wives. He even proposed to Marie Antoinette. This was after she straightened him out from a skid on the palace floor. So how does a child charm, royalty? Mozart used the technique of novelty. He would play the pianoforte using one finger on each hand. He would cover the piano keyboard with a napkin and perform. He would ask his royal backers to hum a tune. They he make an entire sonata on the “hum”. He would freely improvise variations on a theme. Yet even with the royal support of limitless funding, there were problems. You still needed a good libretto. Here is an example of Mozart’s libretto problems: He wrote an opera for La Finta Semplice. It’s about a Hungarian captain whose sister makes love to his girlfriend’s brother. As a result, the girlfriend’s maid can marry the captain’s valet. This needs to happen without the captain’s girlfriend’s other brother finding out. As crazy as this is, it still made it to the stage. Today, I think that a rich person can buy their way to a full production. But, odds of overall success are even more remote. The feature picture of the ghosts of Caesar and Anthony in the above internal link is from our new opera. It is now called, Patra. It was called Octavian and Cleopatra. Another name it went by was The Cup of Cleopatra. Now, the opera is undergoing a major rewrite. This is no small task. However, I do have one great advantage: Everyday I have breakfast with my librettist. She is my wife, Sharon. Everything is coming together for a workshop in upstate New York 2019. We are looking for backers. Click on the picture below to sample some of the earlier productions. They might pique you interest. Contact shlesley@aol.com if you are interested in assisting. Writing operas, My wife, Sharon Lesley, plays Cleopatra. Robbie May plays Octavian. Photo taken in the Sarasota Player’s Theater presentation. This book is entertaining and informative.